Treats for any size dog. Great for teething puppies and loved by most dogs. These snacks can be cut for training purposes (but they are tough). The length of the strips vary from about 3 inches to over 6 inches. The average width of the strip is just over 1/4 of an inch. 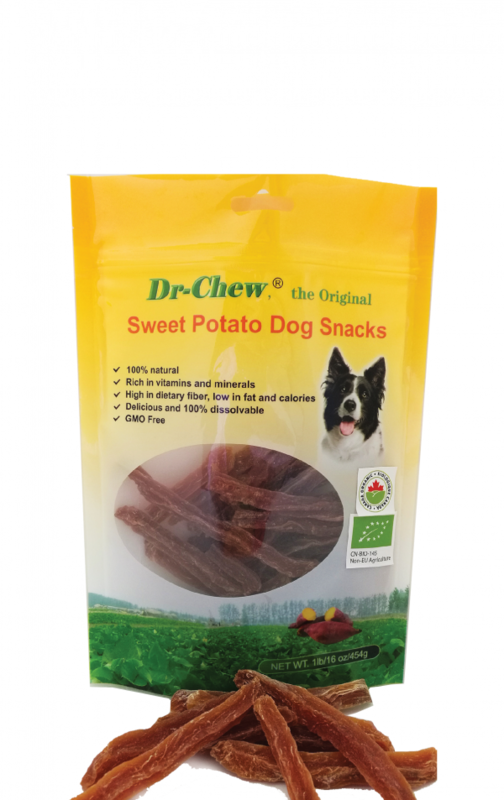 For a more long-lasting treat, see the Small and Large Size Sweet Potato Treats. 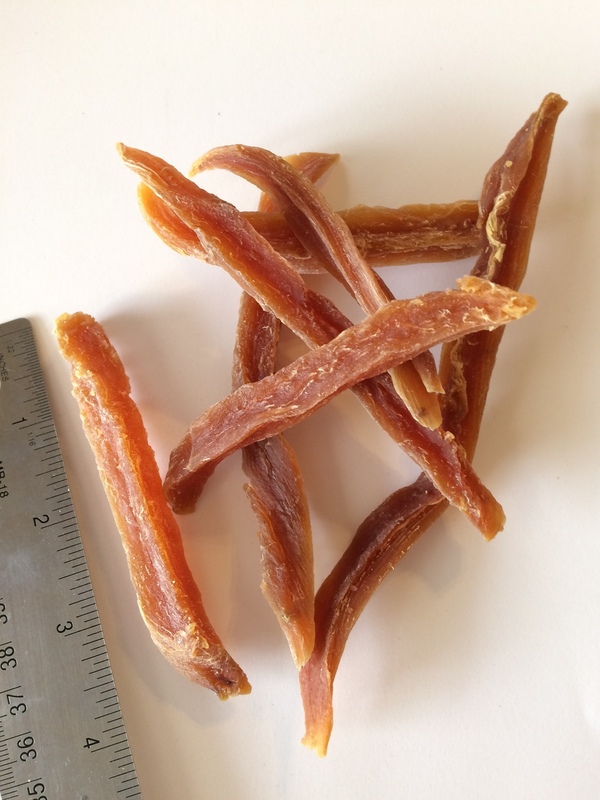 These Sweet Potato Dog Snacks are the same as the strips we’ve carried packaged in the Kraft coffee bags. These products are no longer available in bulk. Certified Organic by the European Union, Canada, and Japan.